Barbara Bradley Baekgaard, founder of Vera Bradley, will be honored with Gift for Life's "Chuck Yancy Lifetime Achievement Award" at Gift for Life's 27th Anniversary Party for Life taking place on Monday, February 4, 2019, at Stage 48 in NYC, during the NY NOW/NSS/SURTEX tradeshows. 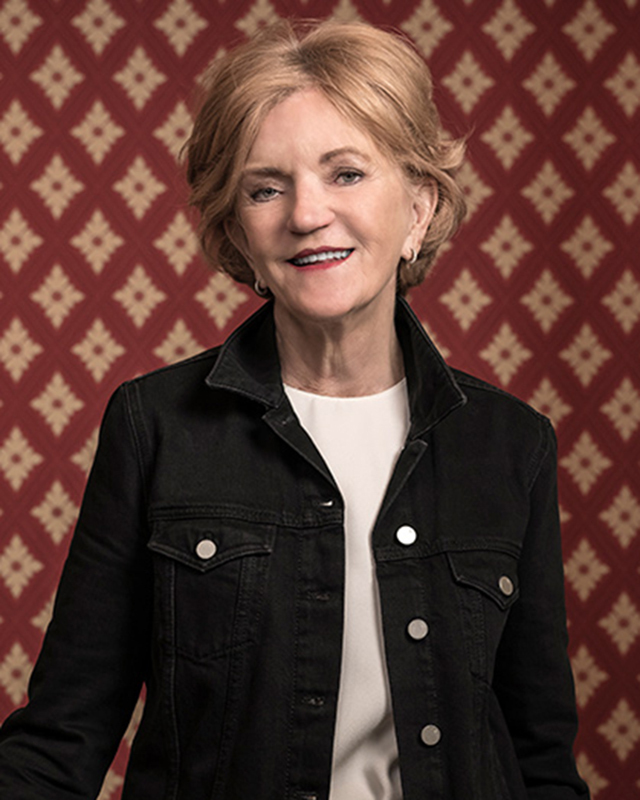 Baekgaard co-founded Vera Bradley with Patricia Miller in 1982, and has served since then as a member of the company’s Board of Directors. From 1982 through June 2010, Baekgaard served as co-president of the company; and in May 2010, she was appointed chief creative officer. From the outset, Baekgaard has provided leadership and strategic direction in the brand's development by providing creative vision to areas such as marketing, product design and assortment planning and to the design and visual merchandising of the company's stores. In 1994, she established the Vera Bradley Foundation for Breast Cancer, which has raised approximately $27 million to date for breast-cancer research, and for which she serves as a board member. She is also a member of the Indiana University Simon Cancer Center Development Board. The 2019 Party for Life will also feature dinner, cocktails, music, dancing, a silent auction, and the opportunity to network with industry peers. To become a sponsor, click here. Las Vegas Market's 8th Annual "Up on the Roof" charity event raised a record-breaking $16,866 to benefit Gift for Life. The 2018 fundraiser – a partnership of Chavez for Charity, Fine Lines and International Market Centers – raised funds for three leading nonprofit organizations: Design Industries Foundation Fighting AIDS (DIFFA); The Center, the Gay & Lesbian Community Center of Southern Nevada ; and the Matthew Shepard Foundation. 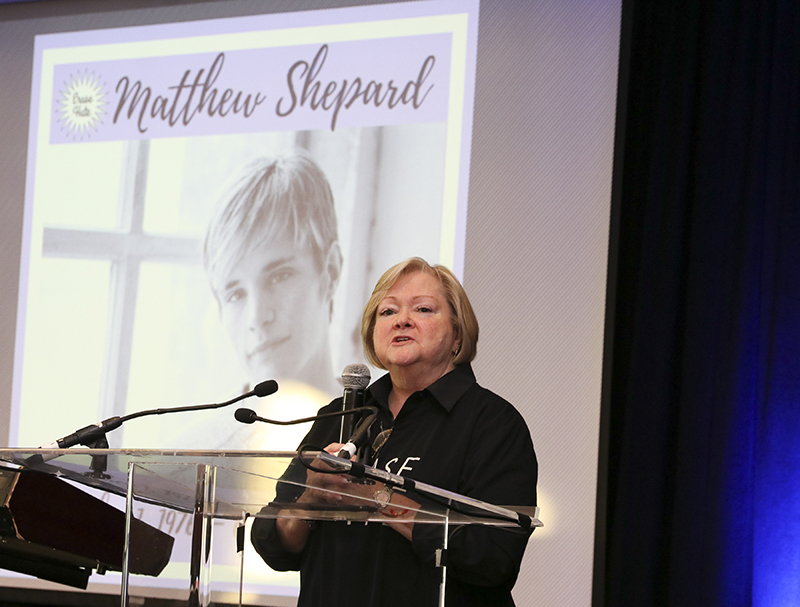 Judy Shepard, mother of Matthew Shepard and founder of the Matthew Shepard Foundation, appeared as a keynote speaker at the benefit, asking partygoers to embrace the event's theme: "ERASE HATE: A Celebration of Love" and encouraging people to vote. 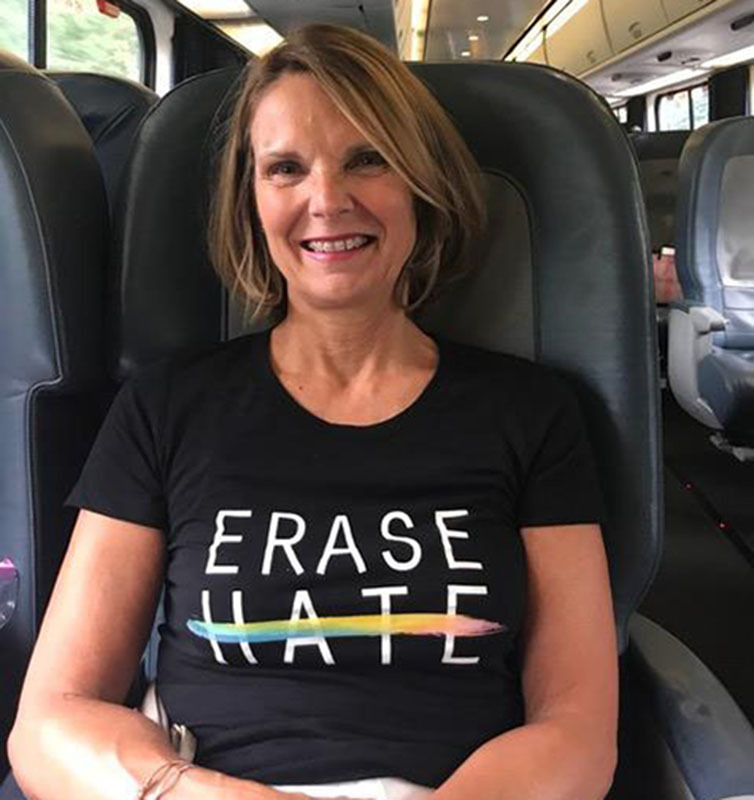 Many partygoers also showed their support by wearing "ERASE HATE" T-shirts throughout the day, which were available for purchase from Chavez for Charity. Up On The Roof Guest Speaker Judy Shepard. A first-ever "Text-to-Give" campaign launched by Gift for Life in collaboration with Progressive Business Media generated nearly $7,000 in contributions. 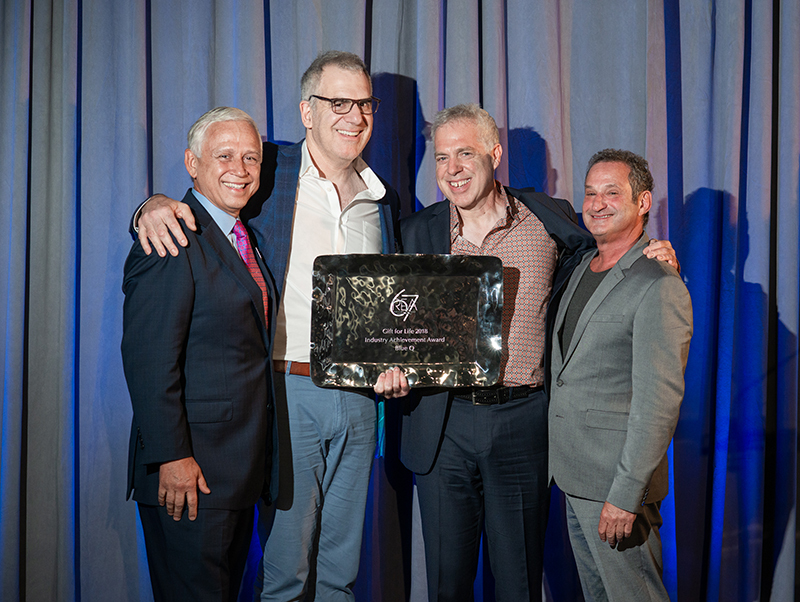 The fundraising campaign debuted at the 2018 Retailer Excellence Awards (REAs) held in NYC in August – an event at which Gift for Life also presented its 2018 "Industry Achievement Award" to Seth and Mitch Nash, founders of Blue Q. "Text-to-Give" allowed donors to contribute via a text message from their cell phones; donations directly benefit JBT Foundation (Just Been Tested), an organization using social media and innovative technology to promote HIV/AIDS testing and awareness. Additionally, in connection with its founders' award, Blue Q has signed on as the first sponsor of GFL's 2019 Party for Life, with a $5,000 donation. Nash, and GFL Founder Peter Schauben. Gerry Seibel, a former Gift for Life board member and former General Manager of the L.A. Mart, passed away suddenly last May. During his tenure at the L.A. Mart, Seibel created numerous fund-raising events for GFL – most notably the "Takin' It To The Street" party – and hosted many GFL board meetings at the Mart. After leaving his role there, he continued to support and promote GFL. 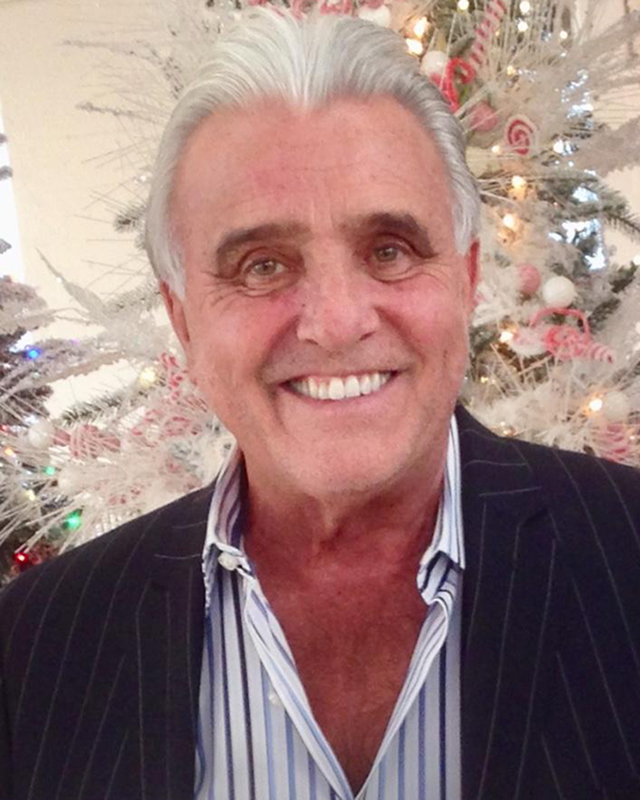 States GFL board member Sheila Charton: "Gerry was one of the most gracious, generous and engaging people in the business, whose smile could literally light up a room. He was a gentleman second to none." To make a donation to Gift for Life/DIFFA in memory of Gerry Seibel, click here. Gift for Life welcomes two new members to its Board of Directors: Ari Lowenstein and Michelle Manningham. 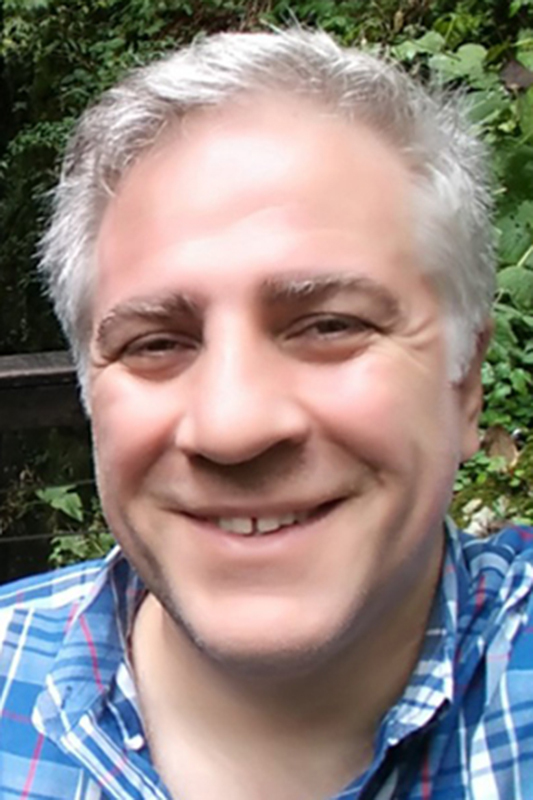 Ari Lowenstein has been involved in the gift industry internationally since 1997 – as a business-development manager for Clear Solutions and The Unemployed Philosophers Guild; a co-founder of Canopy, an e-commerce service company; and as founder of Emergent Workshop, a gift-industry business consultancy. Lowenstein also serves on the executive board of the Museum Store Association; and is finishing his term as president of the Gift Sales Managers Association. States Lowenstein: "Throughout my career, I have contributed to the success of artisans, vendors, merchants, sales representatives and others. I'm excited about this opportunity to channel those efforts to promote the causes of Gift for Life and to work side-by-side with GFL's dedicated and talented Board." Michelle Manningham launched her first business at 19 years old, then left her corporate job at age 22 and spent the next four years speaking all over the country. She returned to the corporate arena as a v.p. of marketing and, at age 27, published a book on how to increase ROI through tradeshows. In 2016, she launched Texi Boots, LLC – The Original Pink Sole Cowgirl boot brand, while also taking the role of sales director for Poo-Pourri. She then started The Pink Sole Foundation so Texi Boots could give back a portion of its profits to help other female entrepreneurs. Manningham is currently director of sales for Living Royal and has just launched her brokerage firm for mass-related products, Pink and Associates. Says Manningham: "I have been directly impacted by many who sit on this board of directors, and I am humbled at the opportunity to serve. The leaders in the gift industry live for more than themselves, and that's what I believe commerce should be about." "Several years ago, I attended my first Party for Life. It was a magical night in a room full of people from all over our industry who collectively were celebrating the work of Gift for Life. I was completely smitten and spent the remainder of the evening reaching out to members of the Gift for Life Board with the hope that I could join this amazing organization. We’ve come a long way with HIV/AIDS education and support since I started in the industry in the early 1980s; but, until this disease is completely eradicated, our work continues. I am filled with profound gratitude not only to be a part of a completely volunteer organization, but one that is so committed to making a difference to people throughout America, especially those young people still living with HIV/AIDS." Vermont CARES was founded in 1986 by a group of volunteers who took turns at the bedsides of friends and loved ones who were dying of AIDS in the early days of the epidemic before treatment, testing and prevention were viable options, and while stigma was rampant. Today, Vermont CARES offers an array of HIV prevention, care, housing and advocacy services, as well as a wide spectrum of harm-reduction services to stop new infections among people who use injection drugs. 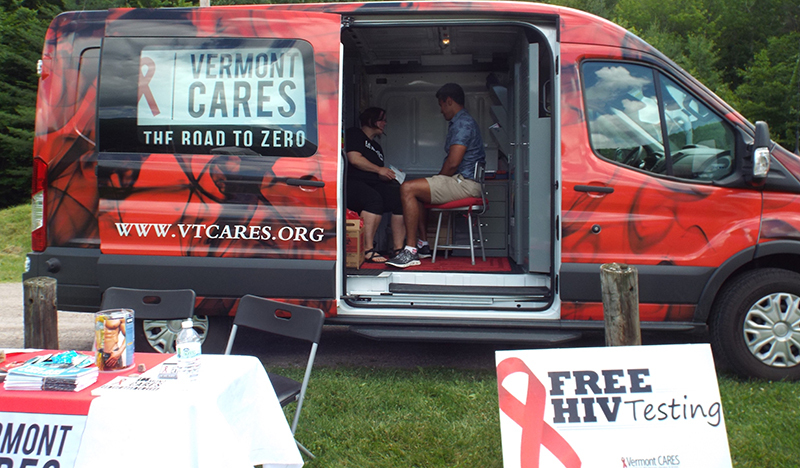 DIFFA's funding is helping to expand Vermont CARES' HIV-prevention programming, including fully staffing an HIV-prevention van that offers mobile HIV testing and syringe exchange in Vermont's most rural communities. For further information, click here. Vermont CARES provides free mobile HIV testing. 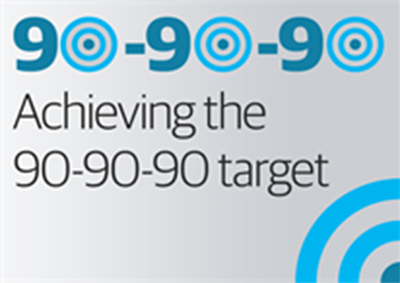 For more information on 90-90-90, click here.